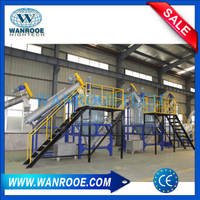 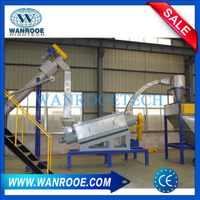 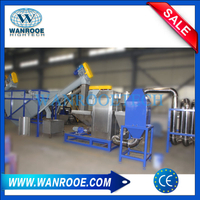 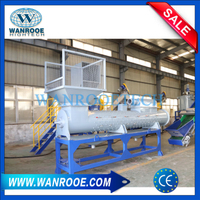 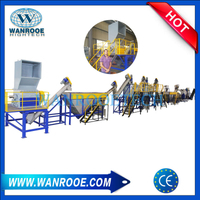 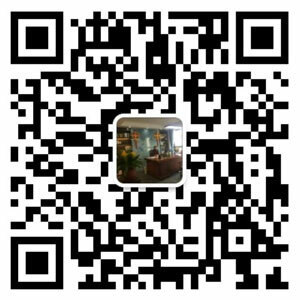 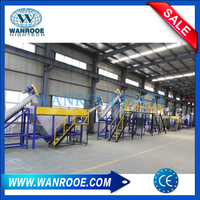 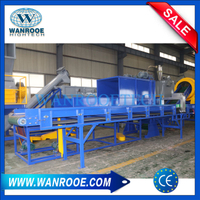 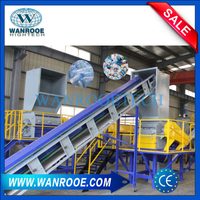 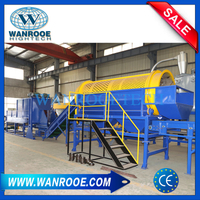 PET Bottle Recycling Washing Machine from China Manufacturer - WANROOE MACHINERY CO.,LTD. 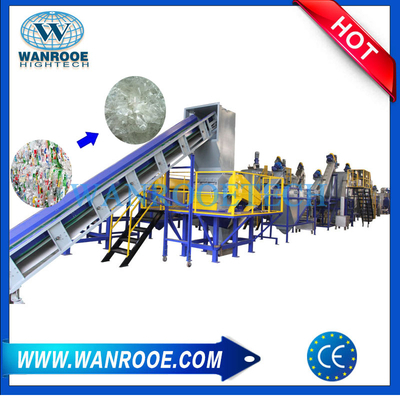 Spilt charter Machine: The first step in our PET washing line is to break the compacted bales of PET bottles into a free flowing stream. 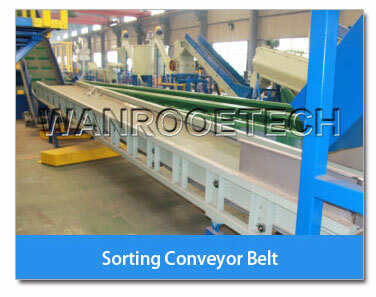 Once the bales are “busted”, the bottles will move onto the next machinery using a conveyor system. 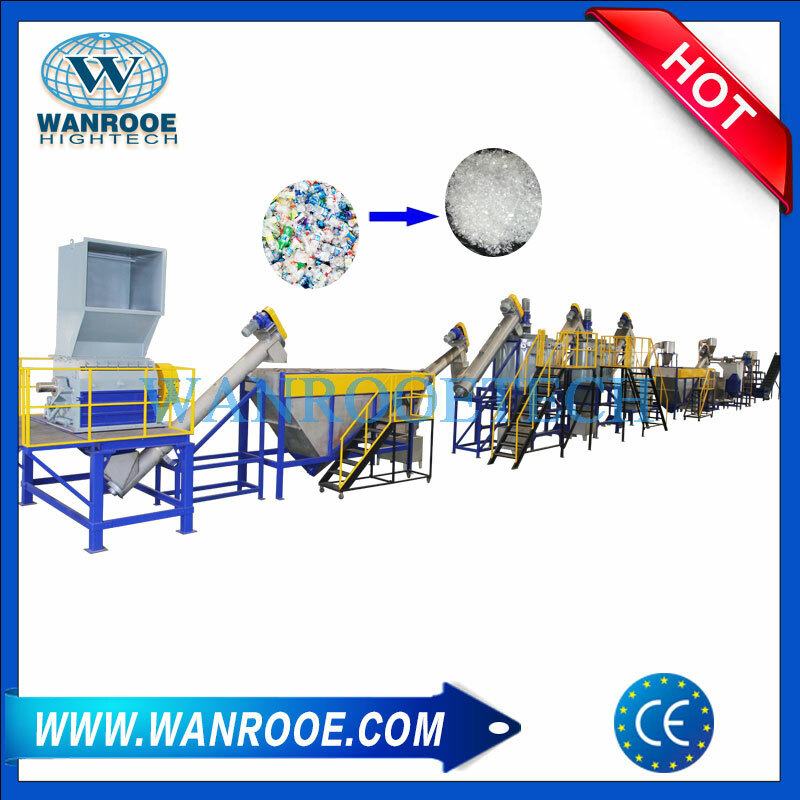 Crusher: Often referred to as a “crusher”, our wet granulator cuts the PET bottles into flakes, or small pieces between 10-15mm in size. 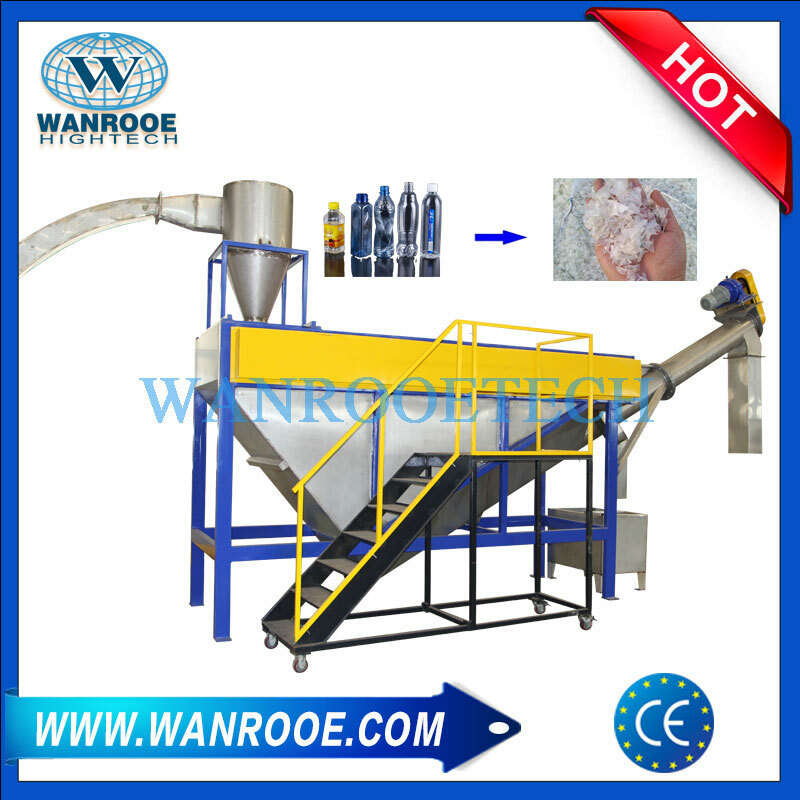 With water constantly sprayed into the cutting chamber, our wet granulation process also pre-treats and partially cleans the PET flakes before moving onto the next piece of equipment. 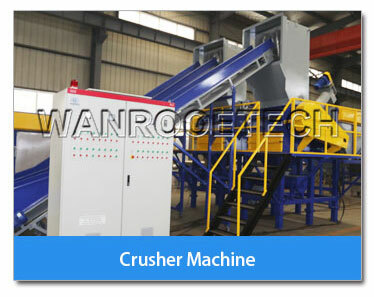 Learn more about our crusher. 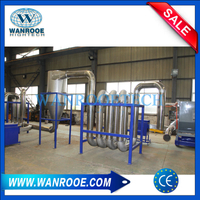 Rinse separator: Air classification is a way to separate lighter materials from heavier ones. The main purpose of using the air classifier is to remove paper/cardboard contamination as well as plastic films from labels on the bottles. 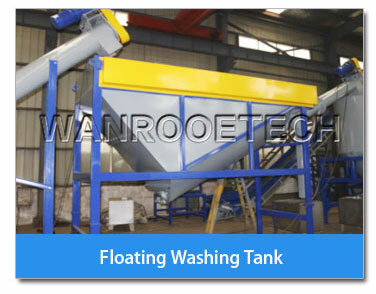 pre-cleaning machine: Using water as a medium, materials that float are separated from materials that sink. 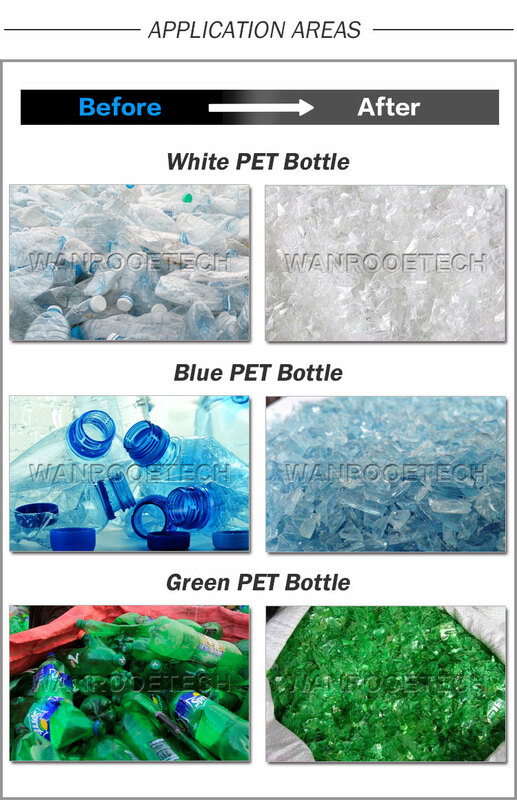 In the case of PET recycling, PET plastic will sink while plastic films (bottle labels) and PP/PE plastic (the type of plastic used for bottle caps) will float. 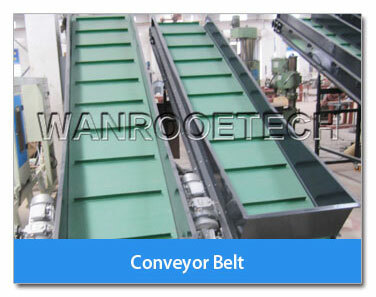 A screw conveyor at the bottom of the sink/float separation tank will move PET plastics to the next piece of equipment. 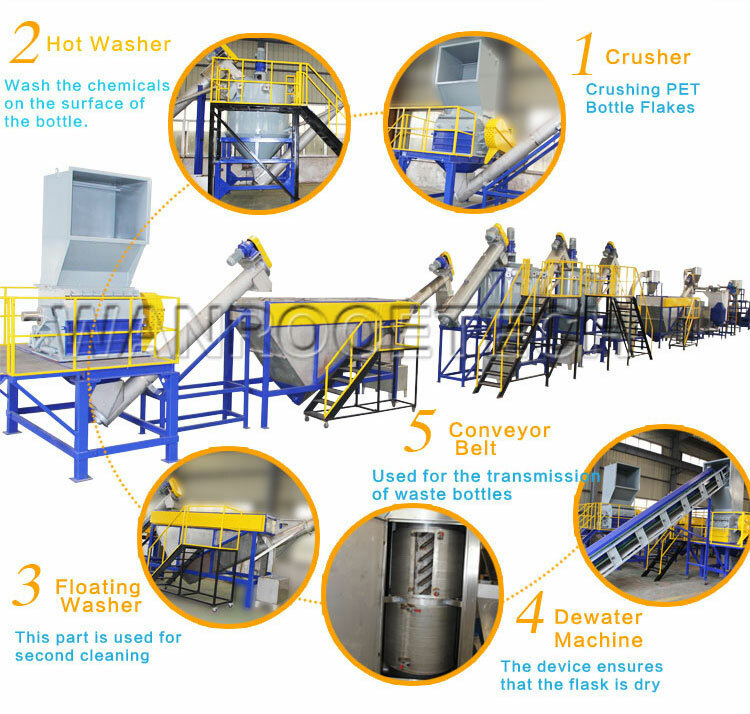 Hot Washer: Hot washed PET flakes are of higher value because this process dissolves glues (used to glue labels onto the bottles) and leftover beverages/foods that are difficult to remove in a cold wash process. 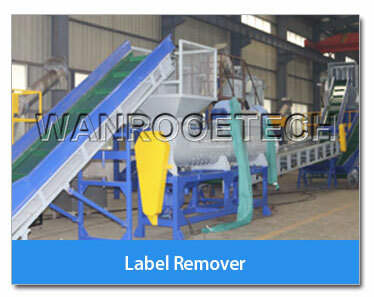 Often times, additional chemicals and washing agents are added for better results. 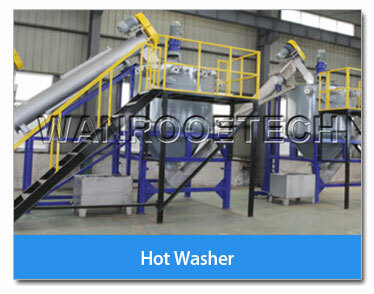 Learn more about our hot washer. 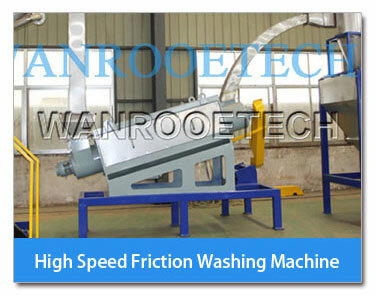 High speed friction Washer: A efficient piece of cold water washing equipment, the friction washer uses friction as a mechanical way to remove any hard to remove dirt and debris from the PET flakes. 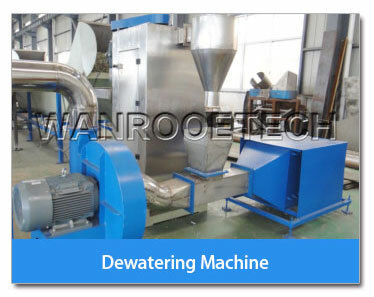 Dewatering Machine: The first step in the drying process, our dewatering machine uses centrifugal force to remove a large portion of water within the PET flakes before moving forward onto our thermal dryers. 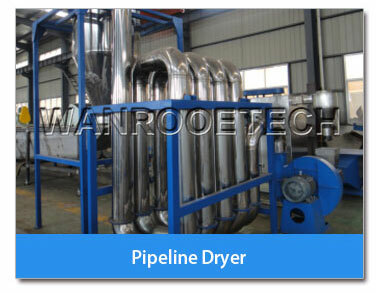 As thermal dryers require more energy consumption during operation, the use of the dewatering machine will help you save on energy cost in the long run. 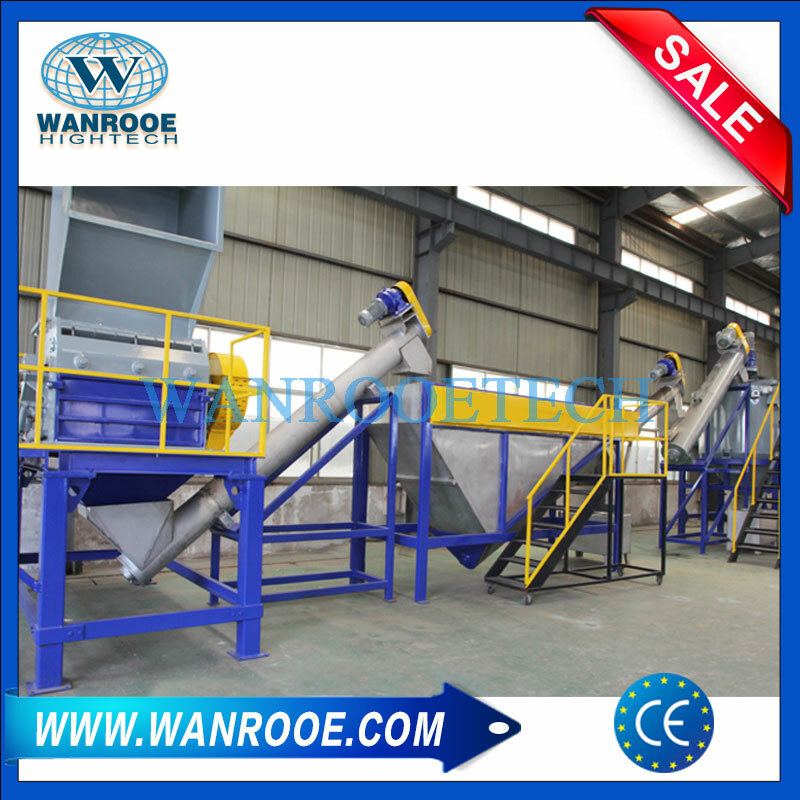 Thermal Dryer + Rise Separator: PET flakes are vacuumed out of the dewatering machine where it’ll travel down a series of stainless steel tubes where the flakes will mix with hot air. 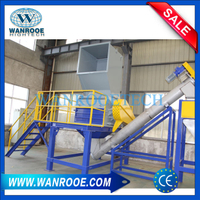 The remaining moisture is dehydrated in this process which ends with a cyclone separator. 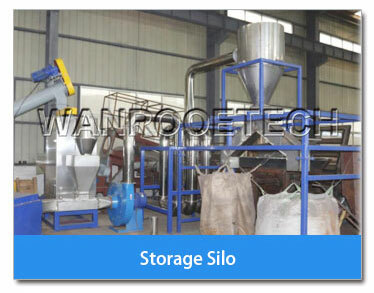 The cyclone separator allow the PET flakes to mix with a fresh stream of cold air which prepares it for storage into the product silo. 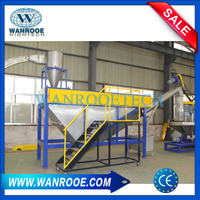 The cyclone separator is also effective in removing fines and such dust.